If you want Korean food, typically the first place people think about is Ktown with a slew of options. 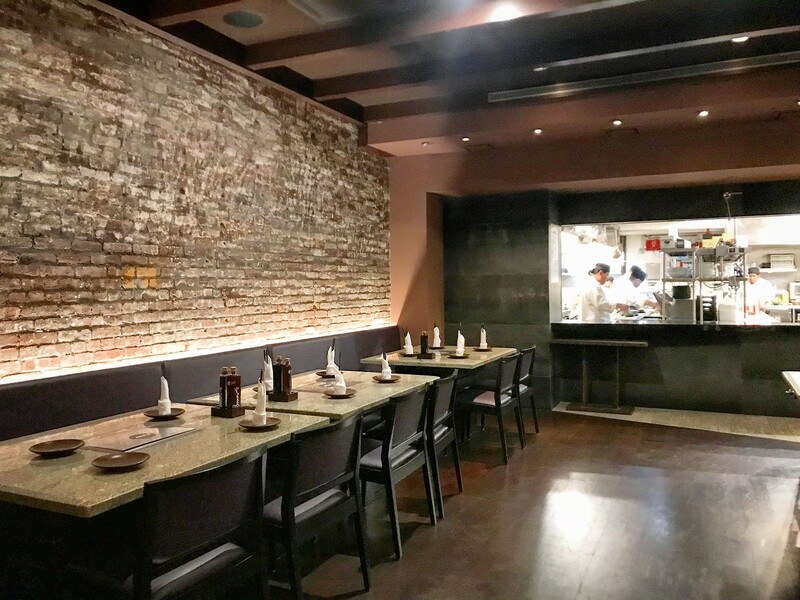 If you don’t want to trek towards Herald Square and deal with the narrow sidewalks piled high with garbage and searching for a restaurant that takes a reservation or with a wait time of under an hour, make your way to Soho and head to The Woo. 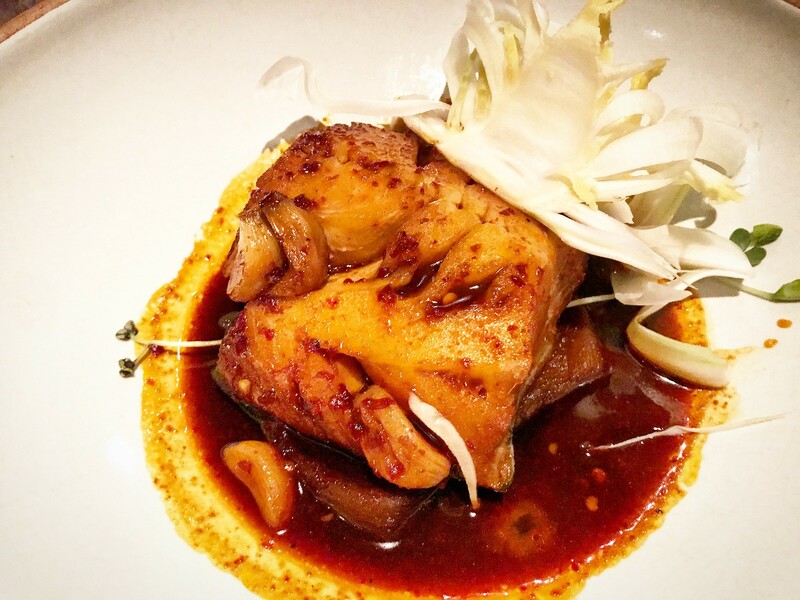 The Woo is a premier modern Korean restaurant helmed by owner and operator Julie Choi with Executive Chef Eli Martinez. Together they also operate Choi’s other restaurant in Midtown, Bann. The Woo comes from a lineage of three generations of female owners who successfully ran Korean restaurants in New York City, and Choi has worked hard to preserve her family’s legacy. 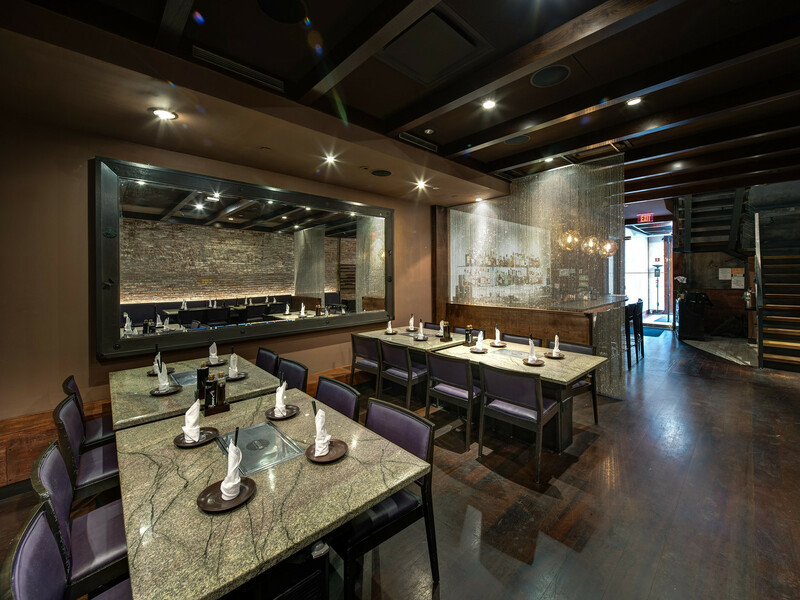 The two level restaurant and elegant and sophisticated with Korean influences throughout the space. Guests first walk by the elegant bar and on the first level there are seats near the open kitchen where you can see the chefs hard at work. 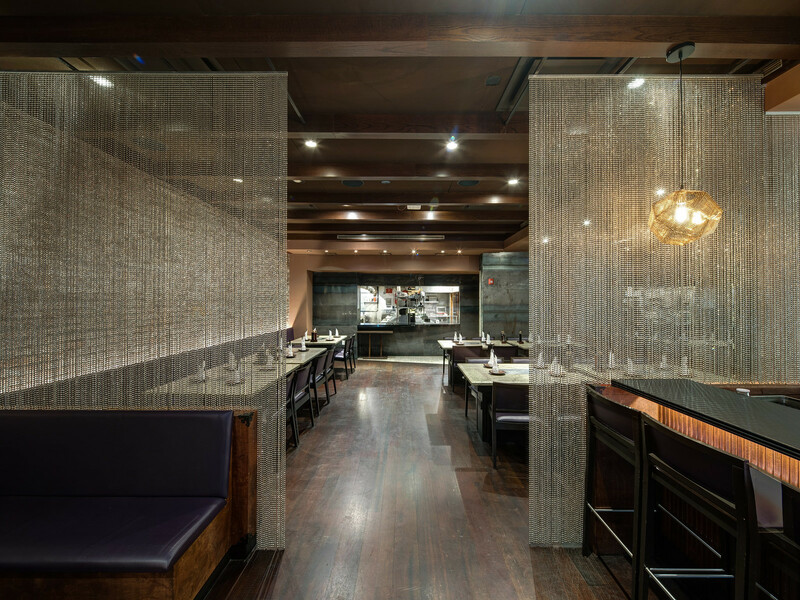 Upstairs is an expansive space where each table or booth has a tabletop grill for the barbecue, and an exceptional ventilation system so that guests do not leave smelling like smoke. We kicked off our meal with some cocktails. 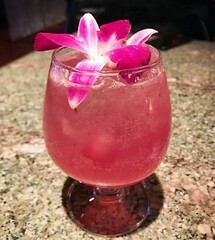 I ordered the Dragon Lady with tequila, dragon fruit, coconut water, lime, and champagne, and seemed to suit my personality quite nicely. Across the table my friend ordered the Ginger Lemonade, a simple cocktail of bourbon, fresh ginger, and lemon. Both options were very light and refreshing to complement our food. 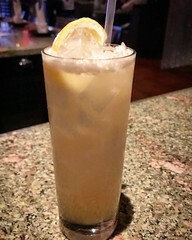 For other unique options, try the Asian Glow with soju, vodka, lemon, peach, elderflower, and topped with champagne, or the Far East Side with gin, soju, and muddled yuzu with a shiso leaf. 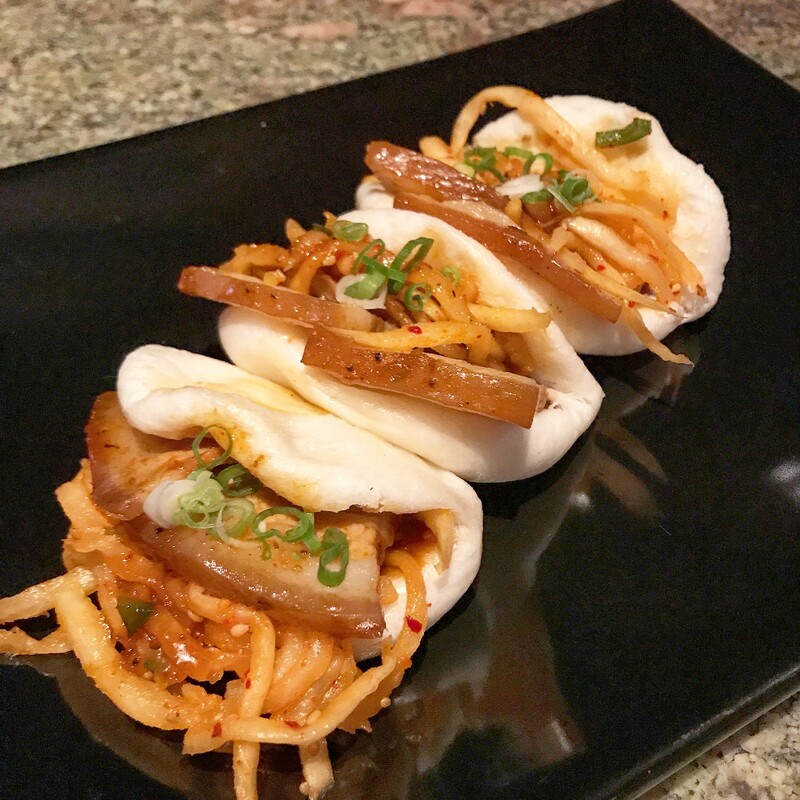 For small sharing plates, we started with the Steamed Buns. One order comes with three flour buns with spicy daikon and sweet soy, and your choice of either pork belly, bulgogi, or chicken. We opted for the more traditional pork belly, but the spicy daikon added a very interested twist! Their signature Mandu, pan fried house dumplings made with beef short rib served with a chili and soy sauce, is highly popular, as well as the Kimbap Sushi Rolls with choices such as sea bass tempura, soft shell crab and bulgogi beef with a soy, wasabi, and apple sauce. For appetizers we ordered the Garibi Gui: minced sea scallop and Korean pine mushroom baked in a light shrimp mousse. If you do your researching on this restaurant beforehand (a.k.a. going on Yelp and scrolling through photos), you know this is a popular dish to order and it does not disappoint. 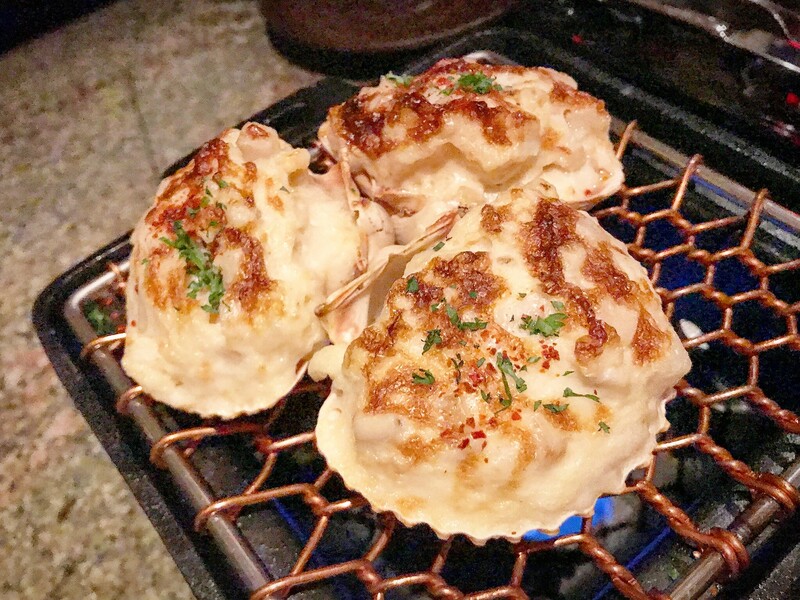 The giant scallops are served back in their shells and served on a personal-size grill so it will be as hot as possible. Other popular appetizers to share are: Yook Hwe, a delicate sesame and soy marinated steak tartare with quail egg and Asian pear; Ke Sal Mari, crab and leek wrapped in spinach crepes with a light Korean mustard sauce for the perfect balance of flavors; and Pa Jun, traditional Korean pancakes with scallions and mixed peppers with vegetarian, seafood, and kimchi options. I was initially hesitant to order any of the barbecue dishes because we were more intrigued by the other more creative sounding entrees. 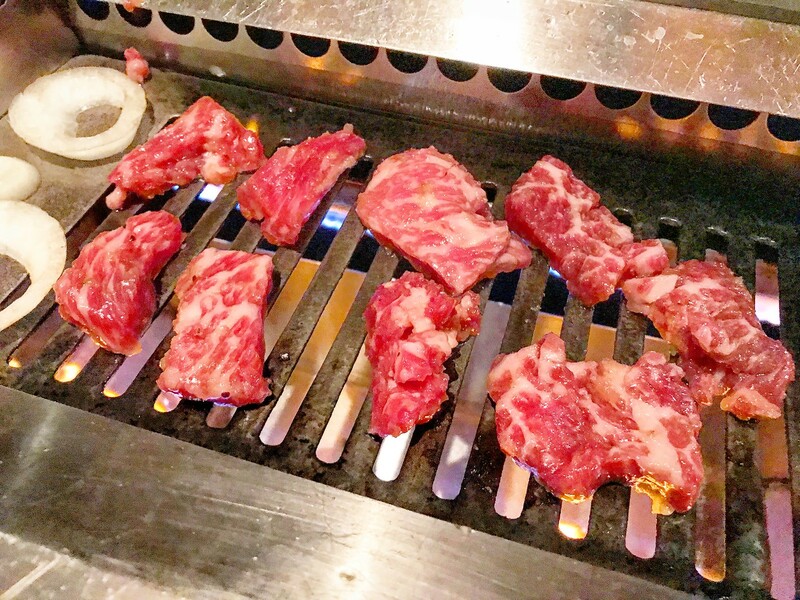 However, our waiter convinced us by saying that even though any other Ktown restaurant has the same offerings, The Woo prides themselves on serving only top quality meat. We ordered the Kal Bi boneless beef short rib and noticed the nice marbling of the meat, which was juicy and delicious. While you are paying a bit of a premium, you will be hard pressed to find such high quality at other Ktown haunts. The meat comes marinated in their signature soy, sesame, and garlic sauce, and of course with plenty of the banchan accompanying sides. 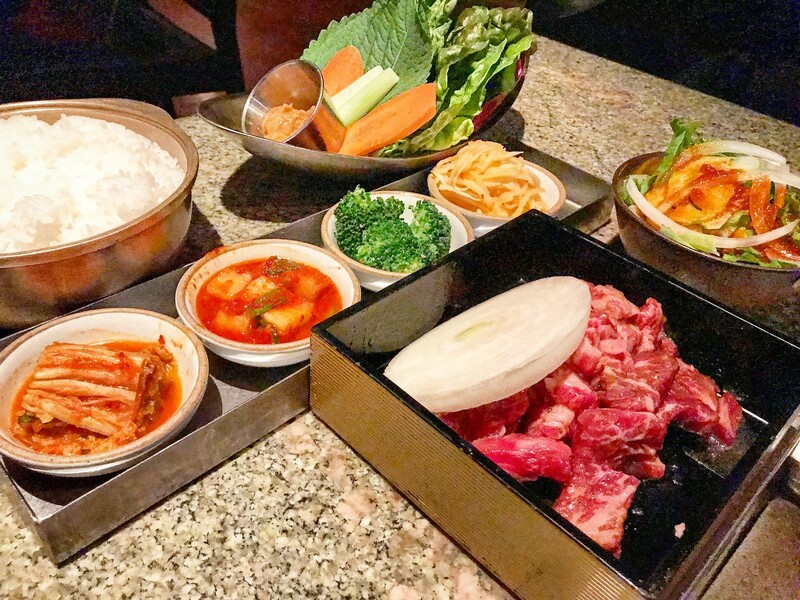 Choose from other meat cuts such as Bulgogi (thinly sliced beef rib eye), Samgyupsal (lean pork belly), Dak (chicken breast), and more adventurous options like O Ree (Long Island duck breast), Hyaw Mit (thinly sliced beef tongue), and Yang (lamb). They are also seafood options including Hwang Sae Chi (swordfish), Sae Woo (shrimp), Cham Chi (Yellowfin tuna loin), and Yun Aw (Atlantic salmon filet). To complement the BBQ we also ordered a seafood entree. The Un Dae Gu Jo Rim was recommended, a soft and tender black cod with daikon simmered in a sweet and spicy garlic soy reduction. A great combination of vibrant flavors. Another great option to share is the Bo Ssam, roast pork belly with a sweet soy reduction, spicy daikon, miso sauce, salted shrimp and butter lettuce wraps. Don’t forget about the rice and stews! Their Bi Bim Bap is incredibly popular, served in a sizzling hot stone pot with mixed rice and marinated fresh vegetables with a fried egg on top. Their stews include Kimchi Chige, a spicy hotpot stew with kimchi, pork belly, tofu, onions, and scallions, which is a house specialty. While Ktown will continue to be the go-to for late night food after a long night out, The Woo serves up incredibly impressive barbecue in a much more elegant setting. It is a fantastic option for a date or for a nice family dinner out, but also casual enough spot to linger after work – happy hour at the bar is from 5:00 to 7:00 PM on weekdays, which also includes small bites. Make reservations to check out The Woo and start grilling!